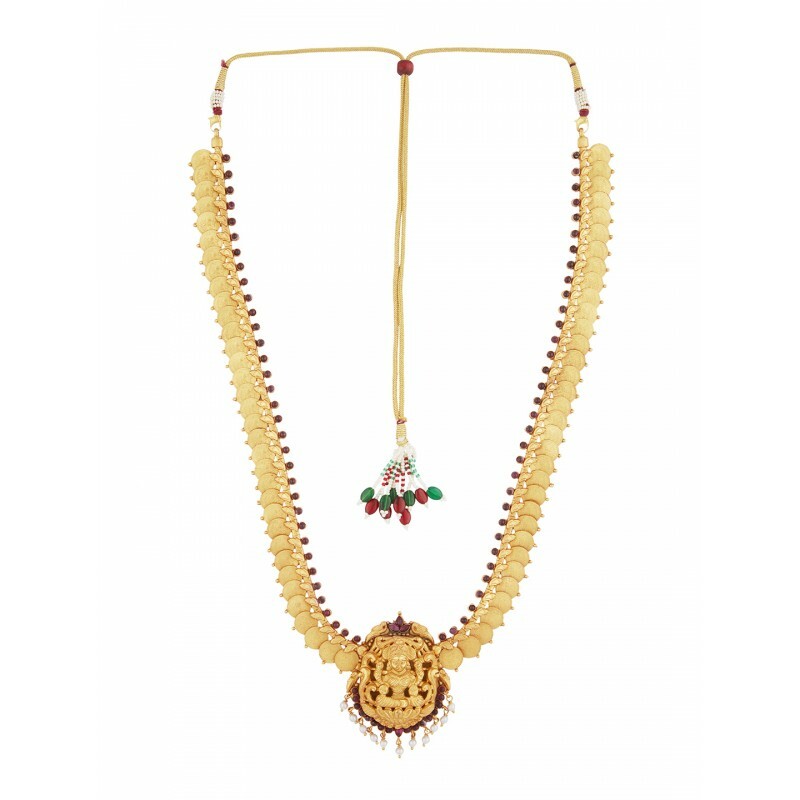 Designed in the classic Temple style consisting of Lakshmi coins with rich ruby coloured kemp stones giving it a very royal look. This one is for all those special occasions. Bring on the Glam !!!! 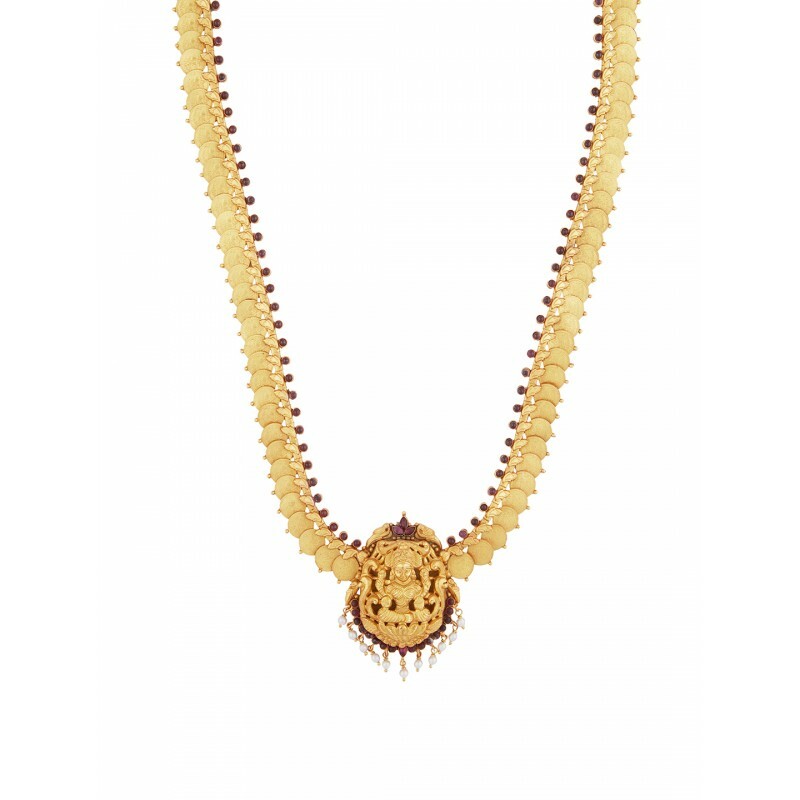 This beautiful Necklace is made with pure 24 Karat Gold Plating on pure 92.5 Sterling Silver which is the highest proportion of silver that can be used to make jewellery. **Disclaimer: This product has been made by hand and may have slight irregularities that are a natural outcome of the human involvement in the process.